Congratulations to Joe Lovano for making The Chicago Tribune’s list of Best Jazz Recordings of 2018 for his band Joe Lovano & Dave Douglas Sound Prints! What happens when two of the most inventive improvisers in jazz join forces? A series of brilliant dialogues between Lovano’s saxophone and Douglas’ trumpet ensues, the two finding remarkably unanimity of spirit and tone in original compositions by each (as well as each musician’s arrangement of a Wayne Shorter classic). 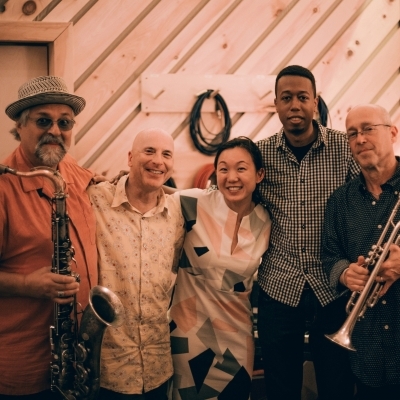 Their Sound Prints band features pianist Lawrence Fields, bassist Linda May Han Oh and drummer Joey Baron in a warm, bracing, intimately recorded session.